American Samoa ("Amerika Samoa" or "Samoa Amelika" in the Samoan language) is an unorganized unincorporated territory of the United States of America located in the South Pacific Ocean. It is the southernmost part of the United States, and consists of a number of different islands. 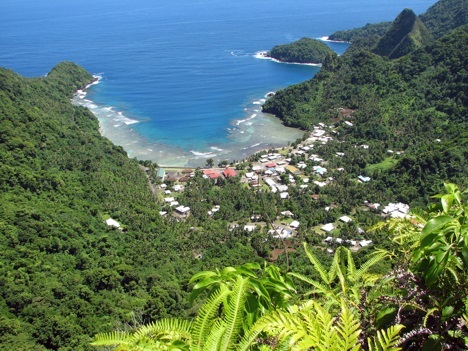 There are no towns or cities found on American Samoa, but there are a number of villages. 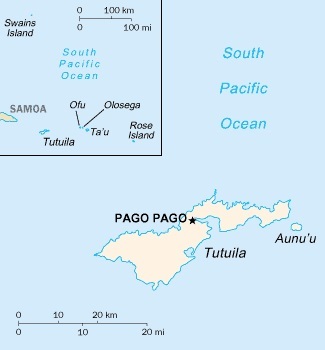 The capital village is Fagatogo (the capital village), the largest village is Pago Pago (the largest village), and the other main large village is Utulei. American Samoa is not particularly known for its tourist attractions, but there are several places of interest and historic sites on the islands. 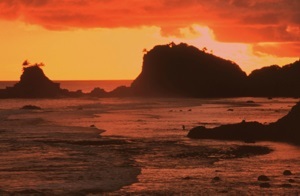 Additionally, American Samoa is known for its wildlife, and contains a National Park. The National Park Visitor's Center is located in the village of in Pago Pago. Visitors to the islands can reach them by sea or by air. The main airport that serves the islands is Pago Pago International Airport.